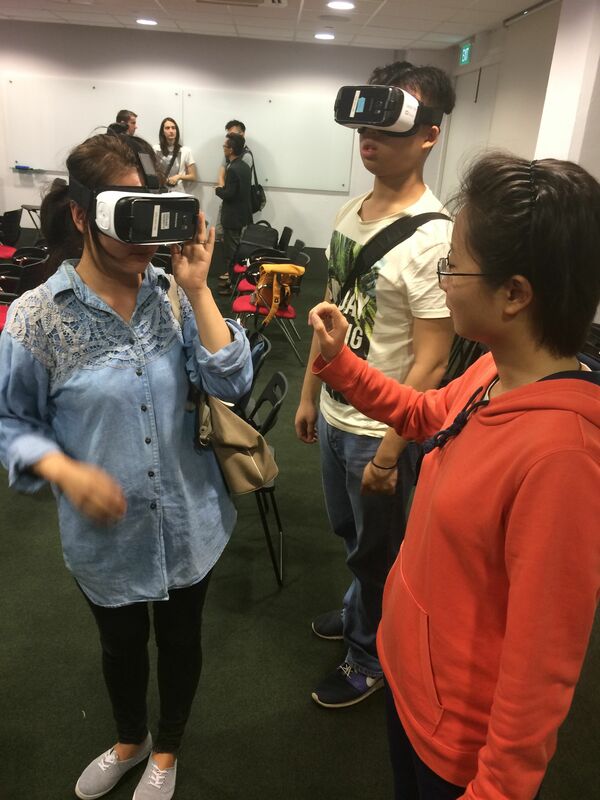 At the recent Asia VR Meetup (titled: Virtual Reality Innovations in 2016: New Devices to Storytelling) on the 15 March 2016, a record crowd turn up at the event held at NUS Enterprise at Blk 71. It was delightful to see that so many people were interested in seeing what VR has to offer. There were speakers, demos and some networking that went on that night that is very encouraging for the VR scene in Singapore. Maurizio Barbieri, Head of Sports at Samsung Asia, gave the opening speech to emphasize that VR is going to be something really big. Using sports as an example, he cited the use of VR for watching live sports events in VR as an example of an immersive experience that the audience would like and event organizers and advertisers could monetize. Hiverlab, one of Singapore’s pioneering 360 degree video production house, continued by talking about their journey in VR. From encountering hardware difficulties like crashing their drones on trees and into ponds to their experience in storytelling, they gave the audience a view behind the scenes of how 360 video storytelling is created. Vito Technologies continued in the storytelling route but in a different direction. Using computer generated visuals, they tell stories in VR to educate the viewers. A demo example can be found in Youtube showcasing an Arctic adventure to learn about the Artic circle, the glaciers and polar bears. They are also venturing into the China market. Foolproof Agency, an UX design agency based in the UK with an SG office, was also here to offer insights in creating good VR experience. Sustaining interest after the initial wow phase, experience trailers, and reducing friction in getting to the VR content are 3 excellent tips given to convert first time VR users to returning customers. SensoMotoric Instruments (SMI), a company with over 20 years experience in computer vision and eye-tracking system was also present to demo their upgraded Oculus DK2 HMD. With this very expensive device (you can buy more than 10 HTC Vives with it), you are able to accurately control user interface or controls with just you eye movements. Last but not least, Jia Hen, the co-founder of AsiaVR, took to the stage to talk about the HTC Vive Pre (probably the only one currently in Singapore) and Project Tango experience before opening the floor to start the demos and chit chat among the people who turned up. Also like to give a shoutout to Wooba Studios which also drop by to showcase their developments in creating a real estate VR platform. I have seen their app before and they have refine the user experience of moving through a house to the best I have seen yet. Check their Wooba VR app out if you have not! Some pictures of the meetup are in this link. See you all at the next meetup! Keep your heads in VR!